Overweight and obesity rates continue to rise. Obesity increases age-related decline in health and physical function, and contributes to frailty. There is no doubt that exercise is beneficial for the health of obese adults however there is some debate around what type of exercise is best, with concerns that weight loss may increase frailty by hastening the decline in muscle and bone mass that comes with ageing. Researchers assessed the outcomes associated with different types of exercise programs, combined with weight loss, in older, obese adults. Study participants were aged 65 years and over, had a largely sedentary lifestyle and were obese, with a body mass index (BMI) of 30 and above. They were randomised to either the control group, involving neither a weight management nor exercise program, or one of three intervention groups. All intervention groups participated in a weight management program, plus one of three types of exercise programs: an aerobic group participating in aerobic exercise training; a resistance group participating in resistance exercise training; and a combination group, undertaking combined aerobic and resistance training. Outcomes assessed included changes in physical function and other frailty measures. Better improvements were observed in all intervention groups when compared to the controls. Those on the weight loss plus combination exercise program (aerobic plus resistance exercise) saw the most substantial improvements in physical function and frailty. For older, obese adults, undertaking a mixture of aerobic and resistance exercise, in combination with a prescribed weight loss plan, may be most beneficial for long-term improvements in physical function and frailty. Talk to your doctor for advice before commencing any new exercise programs. Villareal, D et al. (2017). 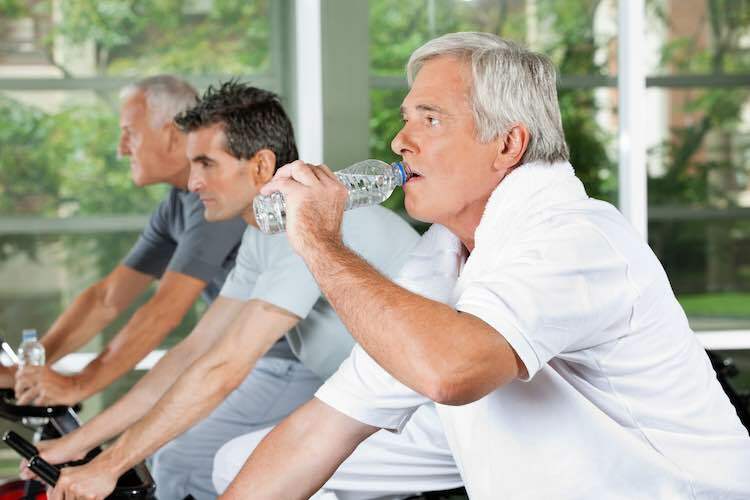 Aerobic or Resistance Exercise, or Both, in Dieting Obese Older Adults. N Engl J Med 376: 1943 – 55. DOI: 10.1056/NEJMoa1616338.